A natural supplement that enhances mental agility and optimises cognitive performance. The EDGE brain supplement for those between 30 and 55 years old.. EDGE is an advanced supplement that enhances mental agility, optimises cognitive performance and helps sustain levels of intense focus. 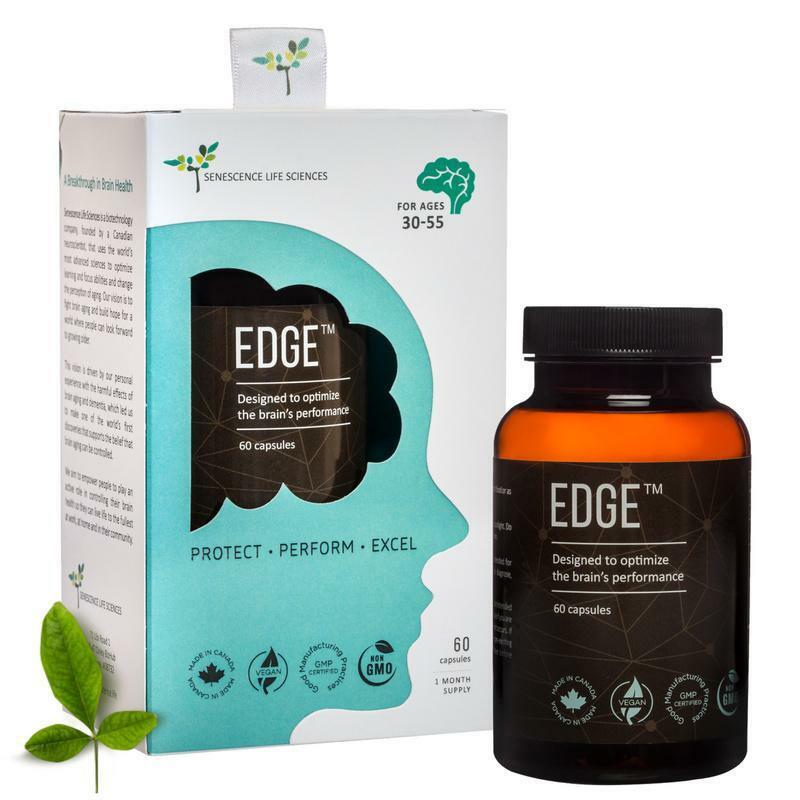 Formulated by neuroscientists and developed by Singapore-based healthcare startup, Senescence Life Sciences, EDGE is for those between the ages of 30 and 55. It also protects the brain from free radical attack and cellular damage to enhance memory function, and detoxifies and removes harmful compounds from the brain. According to the company, some improvements are noticed for as little as two weeks from taking the products, however, it is designed for long-term use and significant benefits can be seen after three months. EDGE is manufactured under stringent conditions in a Health Canada, US-FDA approved and GMP-certified facility in Canada, and is said to consistently test four to 100 times better than Health Canada’s minimum requirements, making it the supplement of the highest quality. Vitamin E, selenium and alpha-lipoic acid increases mental energy, cognitive performance and counteract mental fatigue. Panax ginseng and Centella asiatica (Gotu kola) combat and defend against brain cell damage that builds with age and restore damaged cells. REVIVE brain supplement for those over 55 years old. 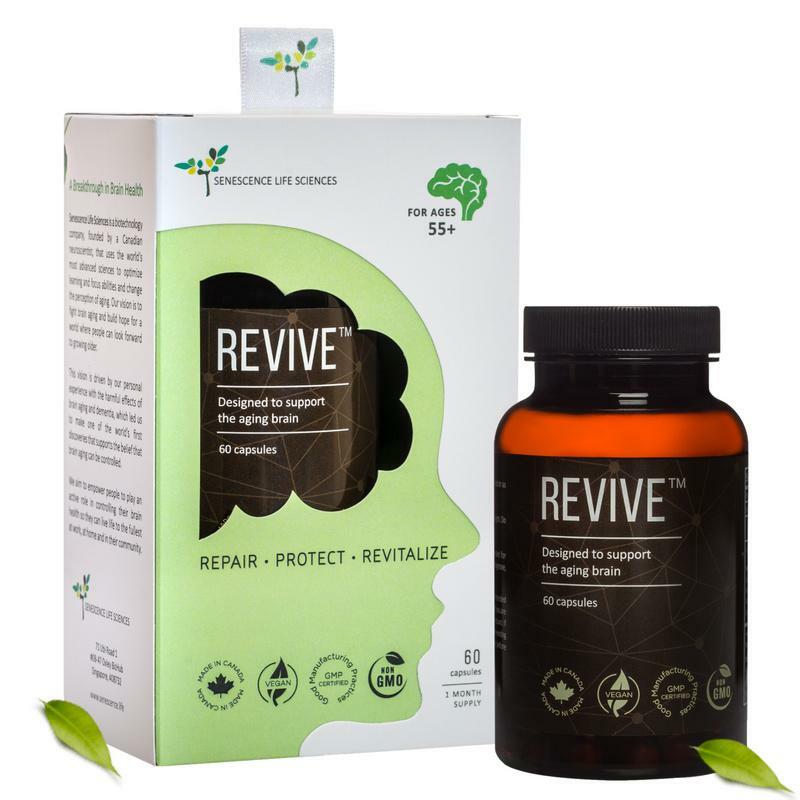 For those over 55 years old, Senescence Life Sciences’ REVIVE helps repair and protect the ageing brain from ongoing damage using the five scientifically-supported active ingredients. It also eliminates toxin build-up, and improves learning and memory. The recommendation is to take two capsules in the morning after breakfast. A one month’s supply of EDGE and REVIVE are priced at S$80 each bottle. There is a subscription plan of three months to provide users with convenience via online orders. You can order the products online at Senescence Life Sciences’ website HERE or you can buy them at four local clinics: Crawfurd Medical Centre, Mint Medical Centre, City Osteopathy and Physiotherapy Two, and Sundardas Naturopathic Clinic.